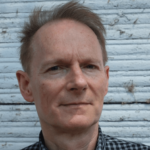 Wolfgang is an expert on low-carbon energy technology policy with in-depth knowledge of the science and technology of CO2 capture and storage, Prior to joining KAPSARC he was a senior adviser at the International Energy Agency in Paris. Wolfgang also has over 20 years of experience working with Shell International. China’s political leadership has taken an increasingly public and proactive stance on climate change since 2014. This includes a commitment that Chinese carbon dioxide (CO2) emissions will peak before 2030 and enacting measures through the 13th Five-Year Plan to support energy efficiency, clean energy technology, and carbon management. 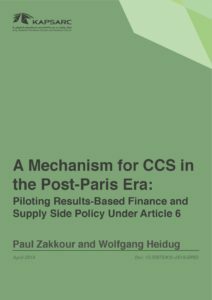 Chinese policymakers consider carbon capture and storage (CCS) a critical bridging technology to help accelerate the decarbonization of its economy. This paper reviews and analyses Chinese CCS support policies from the perspective of an adaptive policymaking framework, recognizing uncertainty as an inherent element of the policymaking process, and draws more general lessons for responding to changing circumstances. Storing carbon dioxide (CO2 ) in oil reservoirs as part of CO2 -based enhanced oil recovery (CO2 -EOR) can be a cost-effective solution to reduce emissions into the atmosphere. In this paper, we analyze the economics of this option in order to estimate the amount of CO2 that could be profitably stored in different regions of the world. We consider situations in which the CO2 -EOR operator either purchases the CO2 supplied or is paid for its storage. 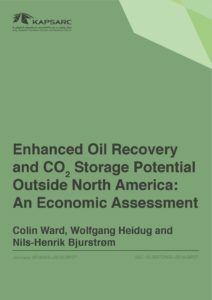 Building upon extensive data sets concerning the characteristics and location of oil reservoirs and emission sources, the paper focuses on opportunities outside North America. Using net present value (NPV) as an indicator for profitability, we conduct a break-even analysis to relate CO2 supply prices (positive or negative) to economically viable storage potential.